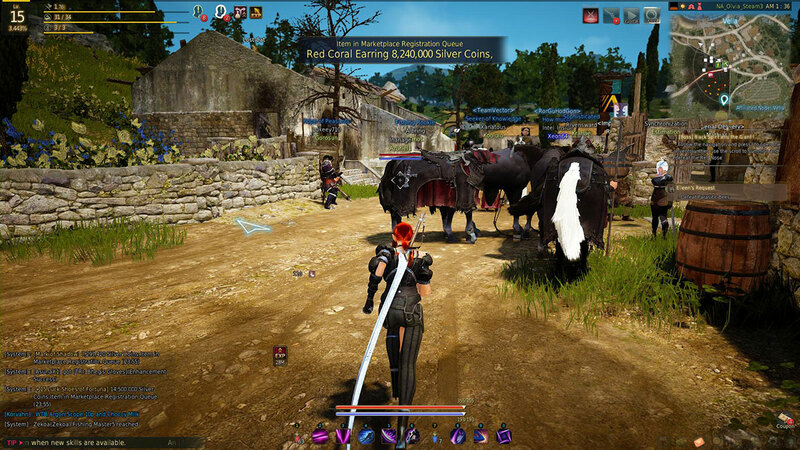 Posted on June 5, 2017, in Impressions and tagged Action Combat, Black Desert Online, Character creation, Combat System, Graphics. Bookmark the permalink. 9 Comments. That item crafting thing is used in a lot of asian grinder MMOs. I remember it from Atlantica Online, same exact system. I’m ok with it (assuming the power increase decreases while the cost/risk increases correctly), but it is odd the first time around. As for the rest… asian import is asian? I mean… yeah, Asian import. It was just a bit of a shock to me how unabashedly “Asian grinder” it was given the relatively high praise it has received. Who actually likes grinding in their MMO, much less an MMO whose entire structure funnels you into said grinding? Maybe it’s only semantic differences between this and running dungeons for badges/loot. Still, it feels a lot less… disguised. I think you are guaranteed weapon/armor improvement up to +10 with no risk of losing your actual weapon, but from then on (last I checked +16 was highest?) its a gamble. Something like that. – armor, safe until +5, after that enchant may fail but the item is not destroyed, it only loses “durability” which you can replenish using identical (non-enchanted) items. After +15 you have PRI and DUO which follow the same rules, then you start to lose enchant levels (= you go back one level). – weapon, more or less the same, but safe until +7 and the base item tends to be more expensive, so repairing durability requires more silver. – accessories: ring/earring/neck. Here is where it gets fun: only five levels possible (PRI DUO TRI QUAD PEN), you get to the next level by merging two items of the same level. If enchant fails, you lose ALL ITEMS, boom, gone, lost, bye bye. Even if it’s ogre rings (check on AH to understand why). Hmmm I’m not sure why you consider the world “washed out”. In very much korean style, it’s very inconsistently detailed, with some parts looking great and others (= most of the terrain) looking like it came straight from an automated terrain generator. And the lighting effects are way better than GW2. Terrain interaction and exploration are much better, also, since they seem to rely more on physics and less on walkmaps. Not entirely sure how you could say that terrain interaction or exploration is better than GW2. In my experience so far, jumping feels clunky in Black Desert, with no particular consistency between grabbing onto ledges or just smacking into a wall. GW2 movement definitely feels a bit more floaty than here, but just look at the screenshots from, say, this post. Maybe there will be more impressive vistas later on in BDO, but I don’t think something like that is even possible. One of the best mmo fishing systems ever – except for the stupid afk fishing. Just mind boggling. Someone else suggested it and I still think it’s the best way to play BDO – treat it as your own sandbox world. You can plant a garden almost anywhere for instance. And quests are totally optional although you want to always do the black spirit ones (it’s kind of like the story quest of the mmo). It’s a fascinating game with lots of interesting mechanics, and honestly some of the best combat of any mmo. Look forward to reading more of your experiences. Yeah, the questing I’m doing is pretty much 100% the black spirit quests, given that it unlocks inventory slots for completion. I just hope they resolve the Steam package redemption issues they have been having. Basically, the Steam Overlay was disabled for whatever reason, and without it I cannot redeem the Explorer package I picked up. And I’m really missing that pet. oh thats no good! That pet is really useful. The little loot grabbers are pretty handy to have around. 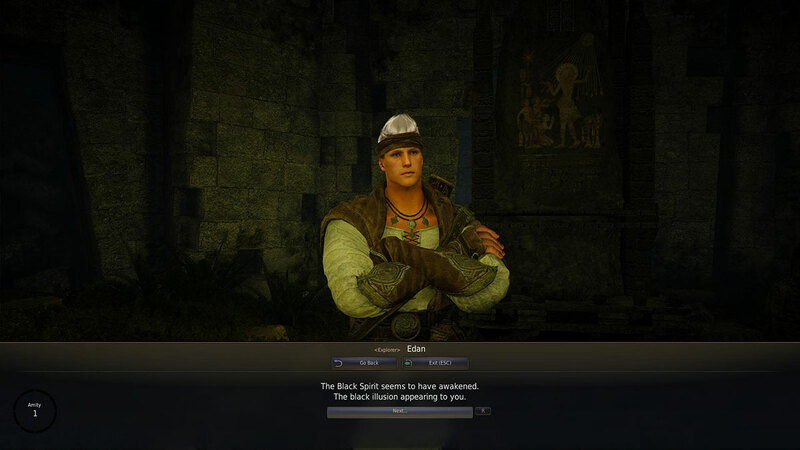 Inventory slot meagerness – the other thing that drove me mad about BDO. Well keep on keeping on. I am wondering your opinion about housing.